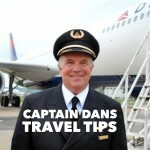 This is a series about cruising on the Norwegian Dawn. We have been on a lot of cruises. Large ships, small ships and ships that sail. 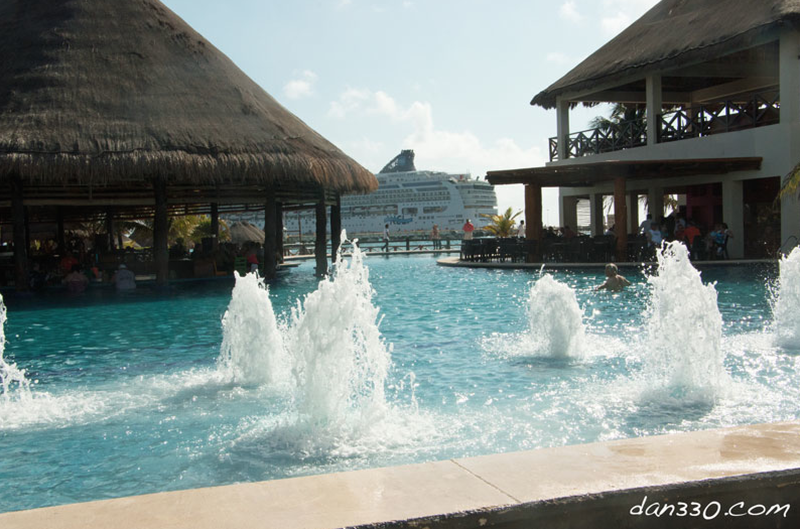 There is such a variety of ports that the cruises visit. That is what makes cruising so much fun, visiting ports in all kinds of places and cultures. 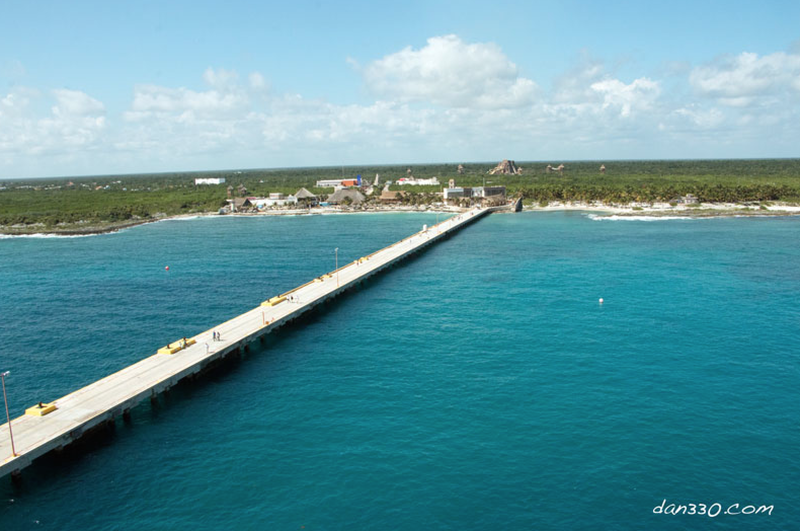 Costa Maya is about the only port that I can think of that is kind of a made up destination. The port itself, which opened for business in February 2001 and was rebuilt after Hurricane Dean in 2007. 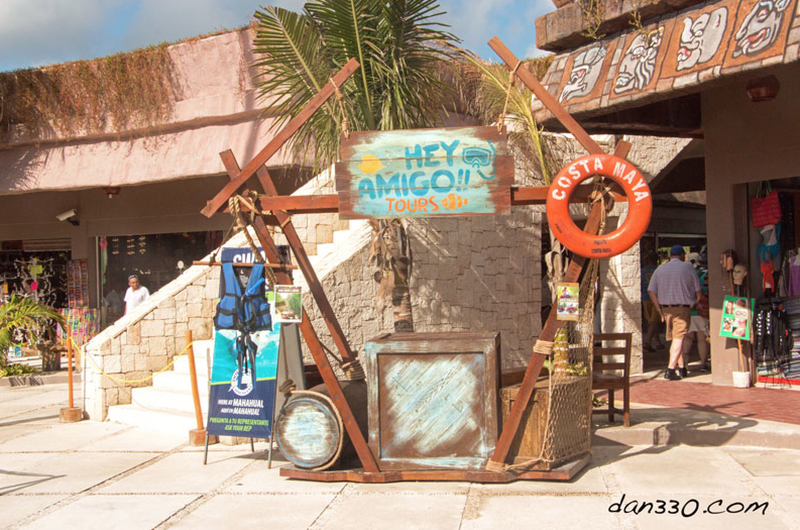 This was not my first visit to Costa Maya. We were here a few years ago when about the only thing there was the giant pier. Onshore at that time, some locals were selling trinkets on tables set up for the day. 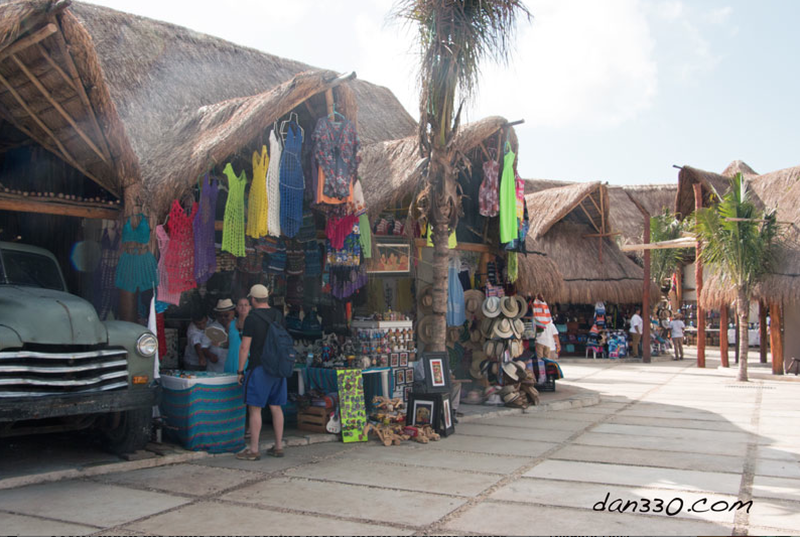 I guess the idea for Costa Maya was if you build it they will come. They built a huge pier and the cruise ships came. 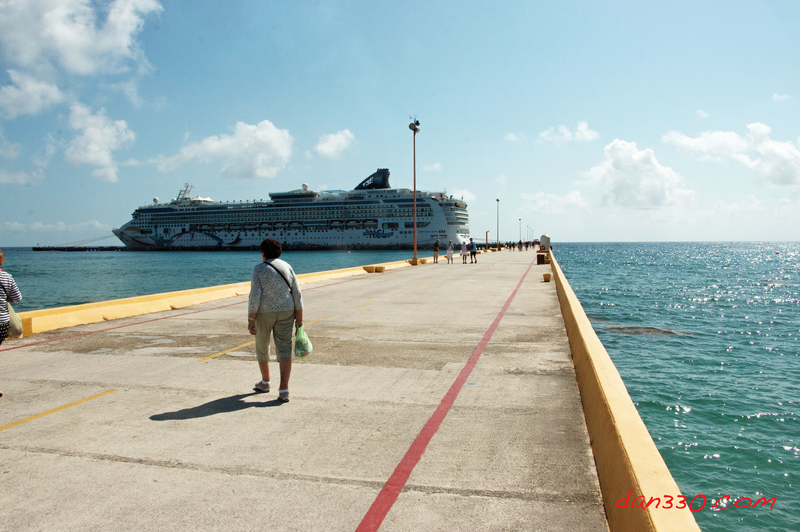 On the day we visited Costa Maya, the Norwegian Dawn was the only ship in port. There is no beach here. You need to go on a shore excursion if you want one more beach day. The village is well done. Since our last visit a “village” has been built as a cruise terminal. It is well done, but it is what it is. Pretty much the same shops selling pretty much the same things that we have seen already on this cruise. Kind of a Mexican Disney experience. The port developers also own a club and water sports area on Uvero Beach, which is actually away from the terminal and is typically used by cruise lines as a shore-excursion option. 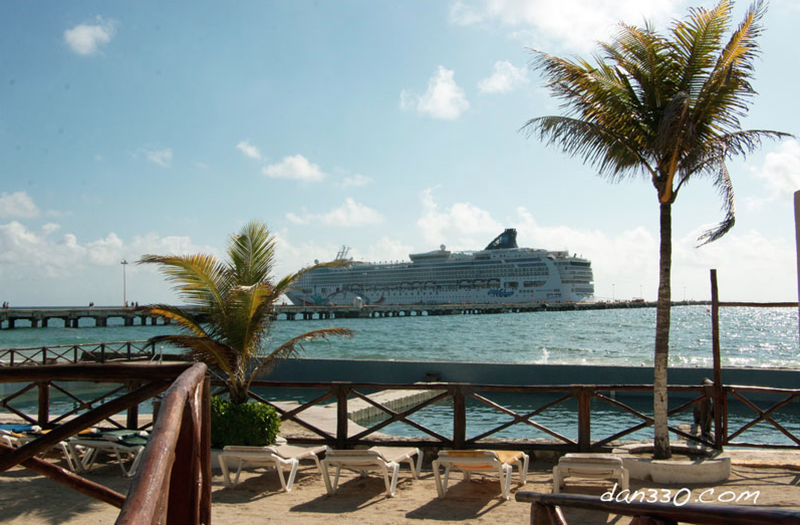 If you are not going to visit the Maya Ruins or go on a beach tour or some other shore excursion, you probably will spend a good part of the day on the ship. I needed to make a phone call so I went into the “village” looking for wifi that had enough band width. The wifi onboard the ship did not. Anyway, I found myself at the bar by the pool and the deal was if you buy something they give you the wifi code. Sounded reasonable until I got the bill for a $16 margarita. I would have felt better about it if they would have charged me $6 bucks for the margarita and $10 to make a call on their phone. Beautiful – but a good day to quit drinking unless you like to pay $16 for a margarita. 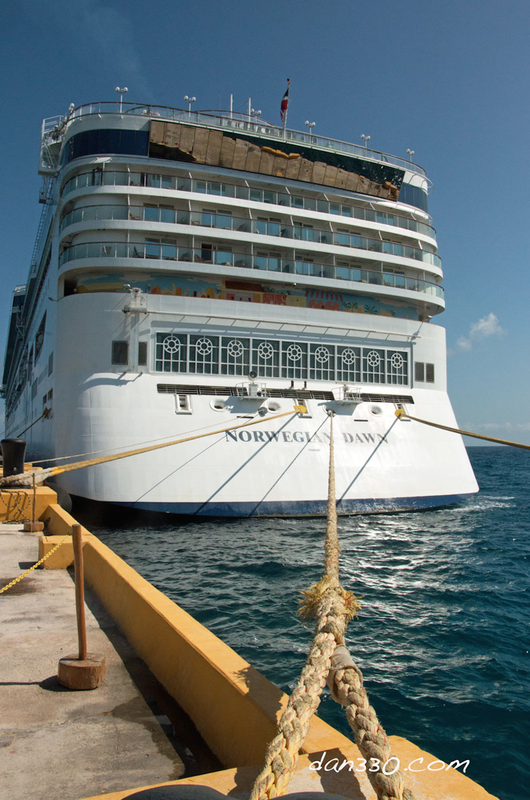 Norwegian Cruise Lines does have some interesting shore excursions centered around Mayan ruins and culture. I have been on these before so I took a pass on this trip. 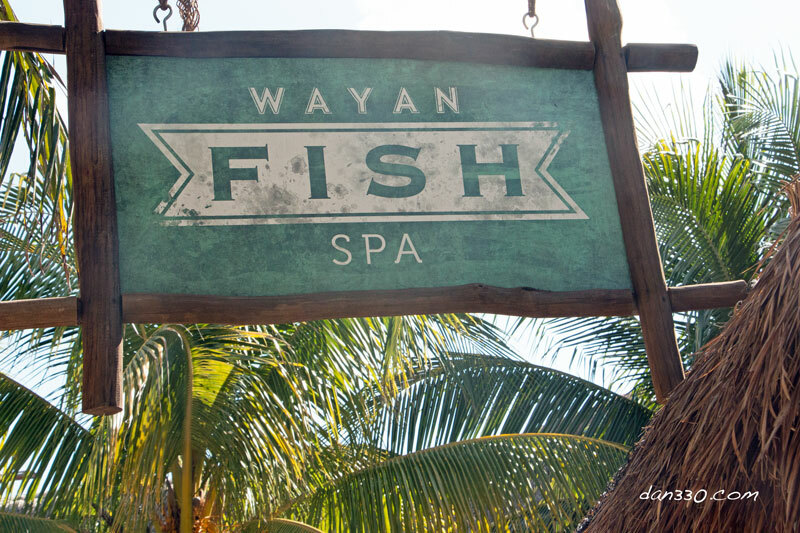 One thing I saw in Costa Maya that I had never seen before was the Fish Spa. You sit on a bench and put your feet in an aquarium and hundreds of tiny fish eat at your legs and feet. There are many health claims by this type treatment: Fish exfoliation will stimulate blood flow, remove bacteria that causes foot odor and that the fish stimulate acupuncture points helping to relax the body and reduce fatigue. I had to look this up on the interweb and the downside of this treatment is the risk of spreading infection. You potentially get exposed to everything that anybody who put their feet in the same tank as you may have had. Another article I read said that the fish spa also may spread HIV and Hepatitis. The risk is very low but it is there. 14 states in the USA have banned this fish spa treatment. 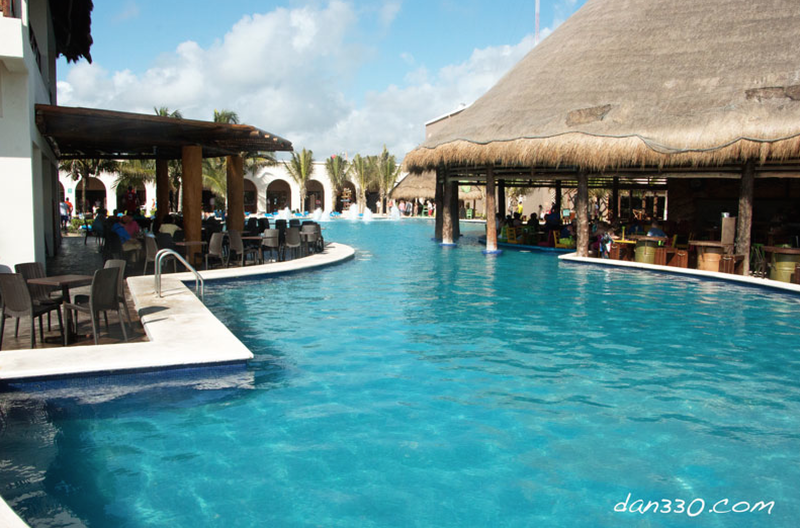 You are in Mexico when you visit Costa Maya, just saying. I am glad I passed on this. 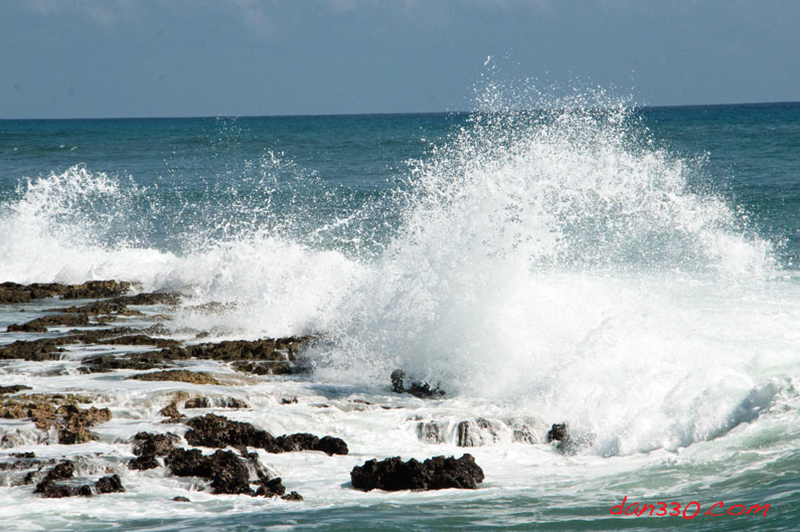 Waves breaking along the pier. We had a beautiful day to visit so after we toured the village, we went back to the ship to enjoy the nice weather. 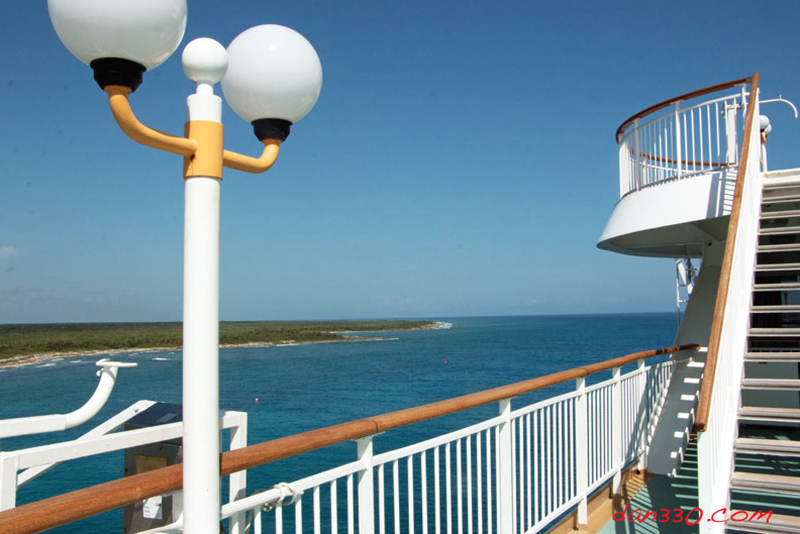 That is another advantage of cruising, if there is nothing that you have to do or see in port, you can always go back to the ship and enjoy the day. The pool onboard and the pool area was not crowded at all so we had a very relaxing day. One thing we haven’t talked about yet was the great water park for kids on the back of the Norwegian Dawn. There weren’t many kids on this cruise as it was mid January. 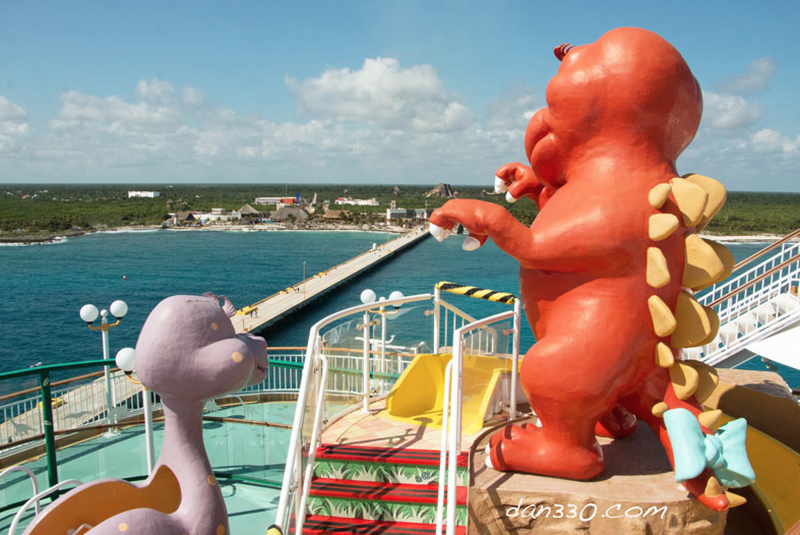 Kids water park in the back of the ship with Costa Maya in the background. 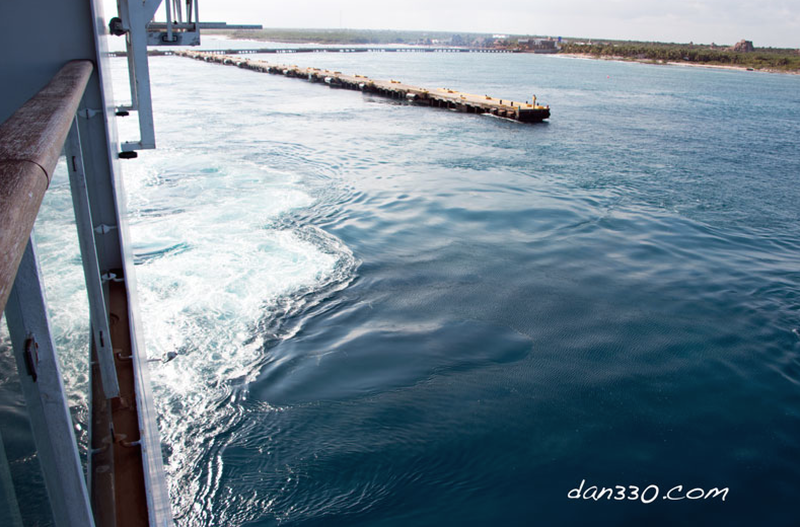 We left Costa Maya in the afternoon. We had a great view of the process from our balcony. Side thrusters make these huge ships very maneuverable. Here is a look back to the pier. 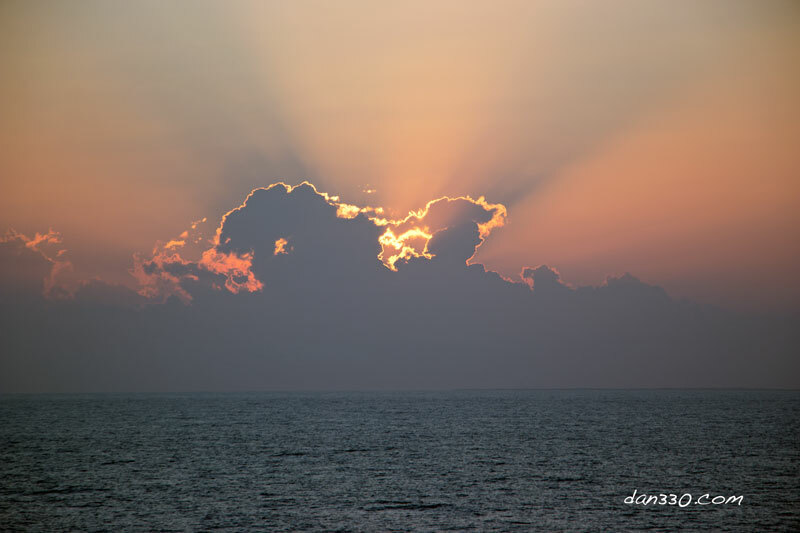 We sailed north along the Mexican coast and were treated to a beautiful sunset before dinner. If you have never visited any Mayan ruins do so. They are very interesting and Norwegian has put together some great tours to choose from. This is your last chance for a beach day. 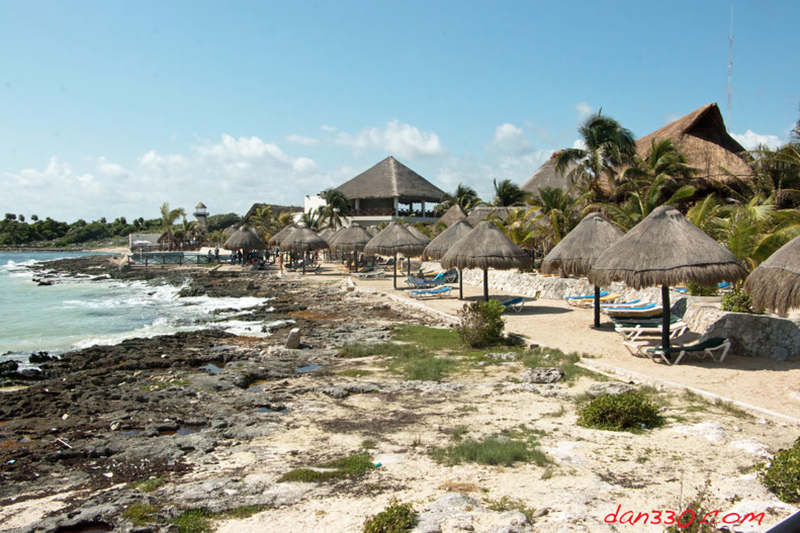 You most likely will have great weather at Costa Maya so take a beach tour shore excursion. 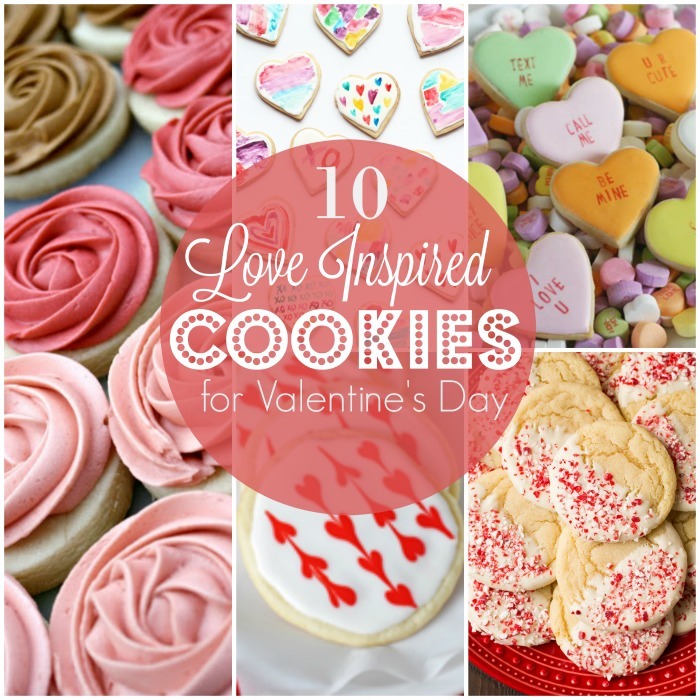 If there was a trinket you were regretting not buying in another port, check out the shops here, You will find a lot of the same products with a different name on them.